Make Plans to Attend Mystique at the Mansion 2019 Monday, December 31st, 2018 @ Verona Villa 6591 Dallas Parkway Frisco, TX 75034. You have found the most Excellent source for Mardi Gras Formal Attire & Masks. There is always a Huge Selection of Masquerade Costumes, Masquerade Masks and Accessories In Stock here, all year round. 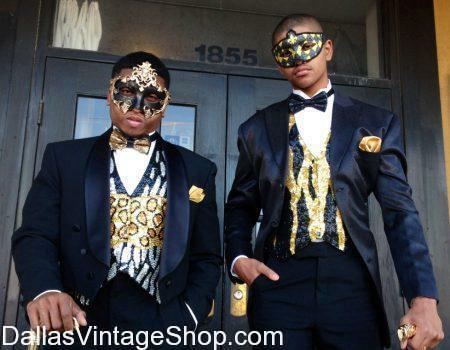 There is Racks of Formal Tuxedos, Tail Coats & Tux Accessories for any Masquerade Ball Occasions.